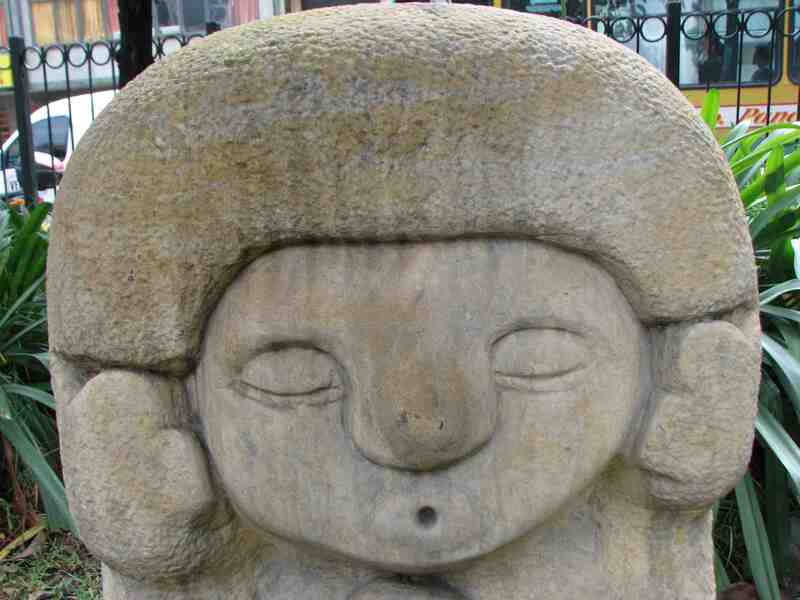 This sculpture, called 'El Doble Yo,' may represent a person and their alter-ego. In mid-February, the Santa Fe neighborhood decorated a local park with the winners from a sculpture competition held amongst the artisans who make headstones near the Central Cemetery. 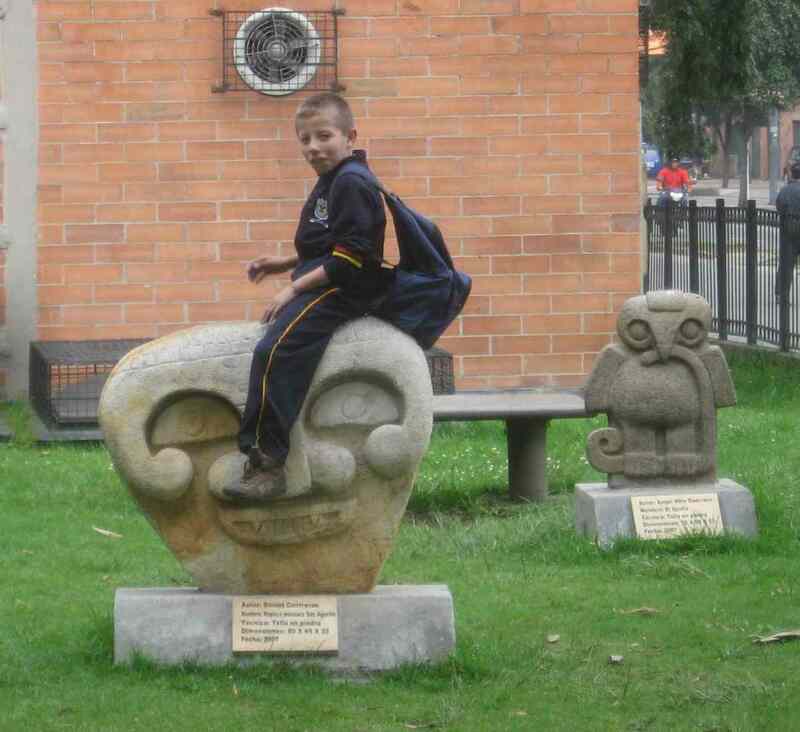 Many of the sculptures are reproductions of the famous ones near San Agustin a small town near the Ecuadorean border, albeit smaller, while others are modern in style. 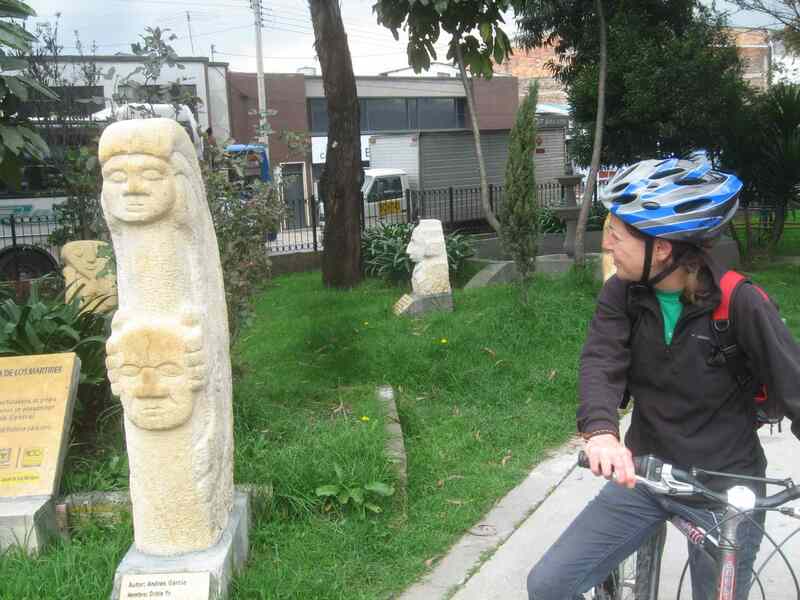 San Agustin is the only place in Colombia where they’ve discovered pre-Columbian monuments. Archeologists have tried to interpret their symbolism with limited success. 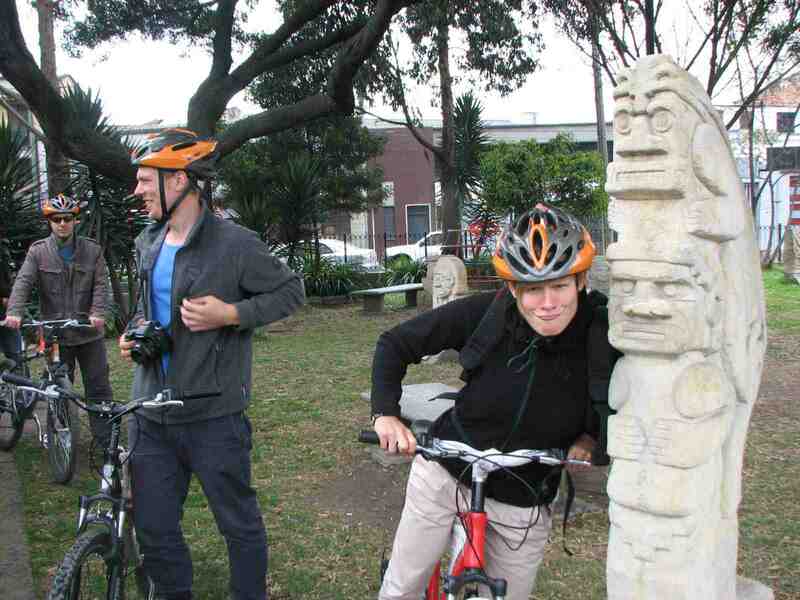 We sometimes visit the sculpture garden during our bike tours. See more photos here. 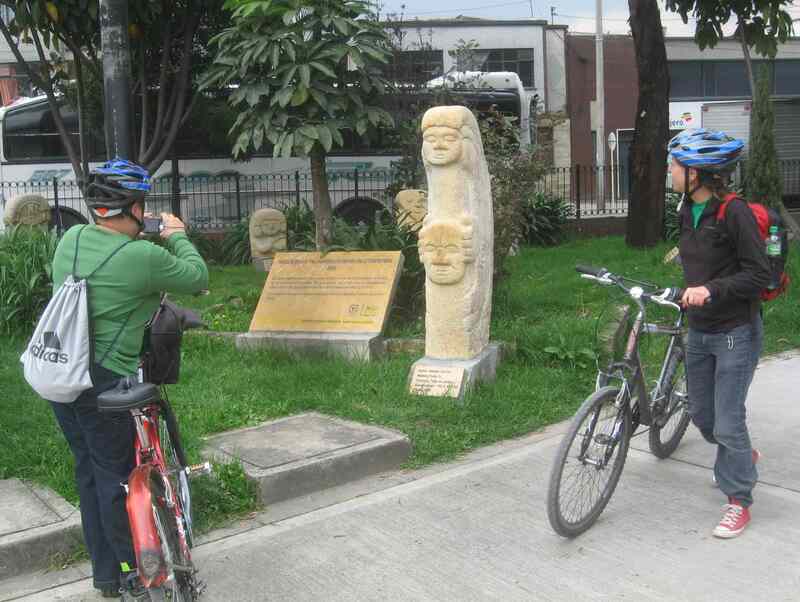 But these two guys posing with the 'Lovers' monument are just friends. This figure, The Whistler, has a decidedly modern look. 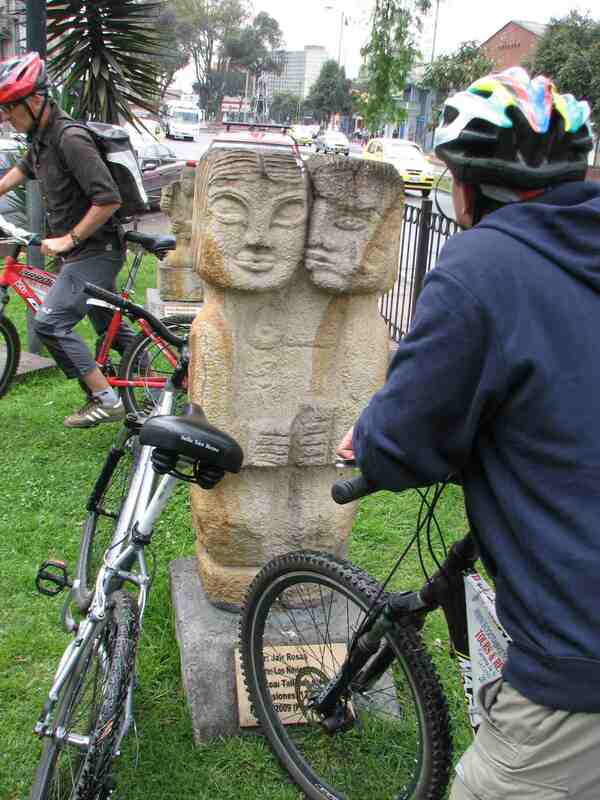 And this one strikes me as more Mayan than San Agustin. Colombia is known for plastic surgery, but this guy got a free instant augmentation. The monument, of a goddess, doesn't look very, uh, indigenous. Colombia is known for plastic surgery, but this guy got a free instant augmentation. 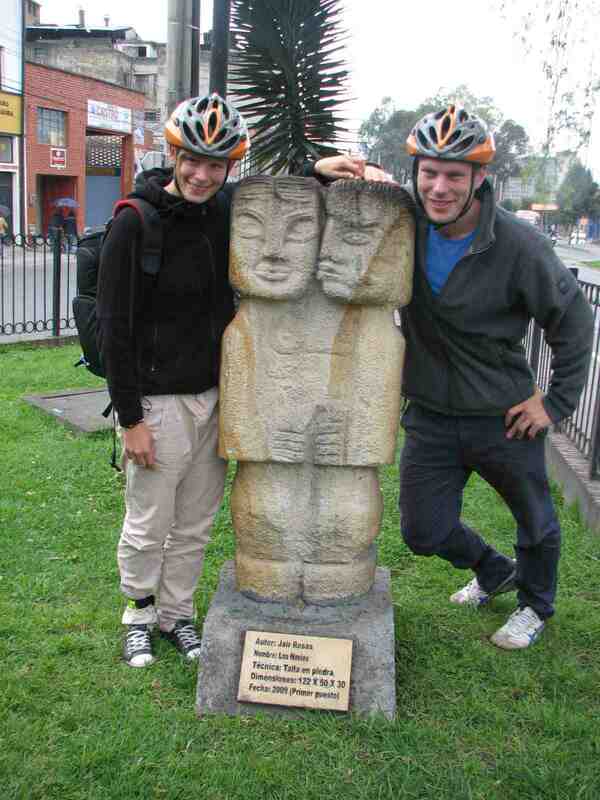 But these two guys posing with the ‘Lovers’ monument are just friends. 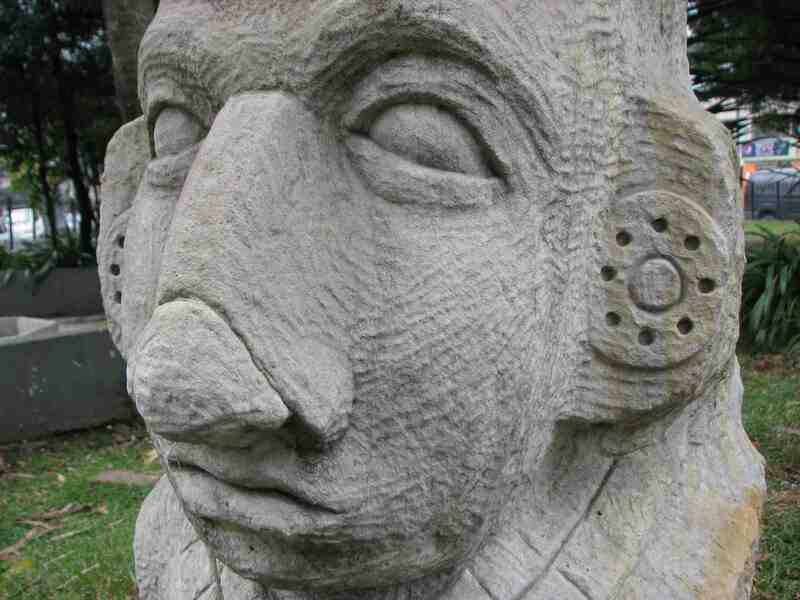 This sculpture, called ‘El Doble Yo,’ may represent a person and their alter-ego.